Supplementary material reads: "City desk. Gershon. Illus. Boat fire. 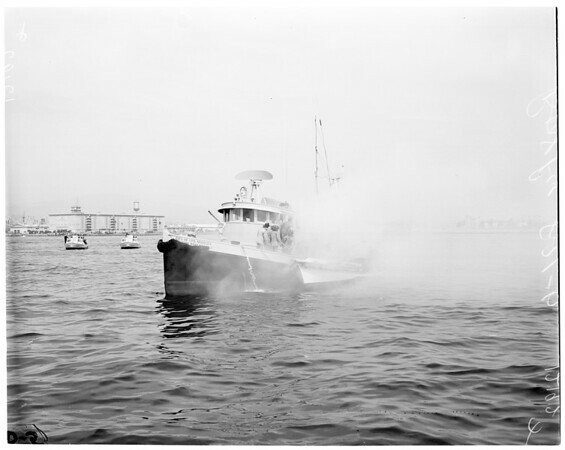 San Pedro: San Pedro firemen shown extinguishing fire on 24-foot Monterey type commercial fishing boat which exploded and burned to water's edge off Pilot Station near entrance to main channel of Los Angeles Harbor. No one was injured as nearby Coast Guard patrol boat rushed alongside and took off owner".